The 12th annual Great Long Island Tomato Challenge was held at Newsday headquarters in Melville on Thursday, Aug. 30, 2018. 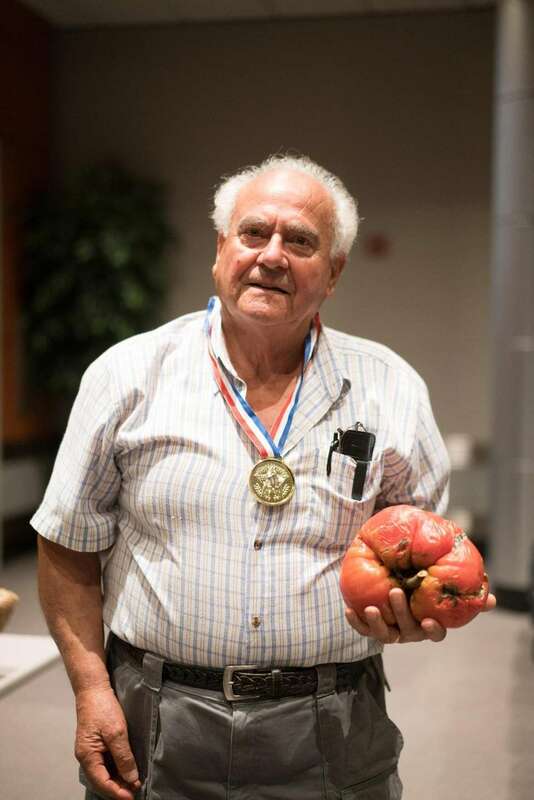 Anthony Maltese, 86, of North Massapequa, won with his 3 pound, 8.5 ounce tomato during the 12th annual Great Long Island Tomato Challenge on Aug. 30, 2018. Alberto Oppedisano, of Franklin Square, holds his winning 3 pound, 7 ounces tomato at Newsday's Great Long Island Tomato Challenge in Melville on Friday, Aug. 18, 2017. 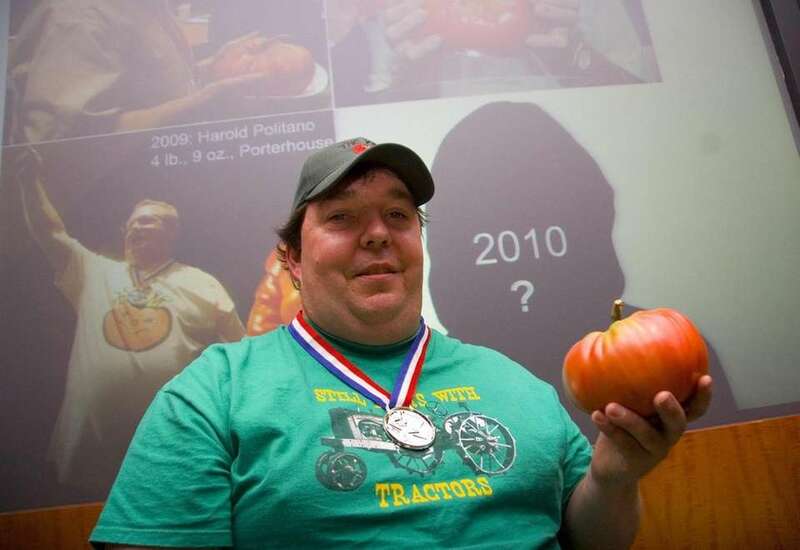 Peter Notarnicola, of Massapequa, poses with his winning 3 pound, 6.5 ounce tomato at Newsday's Great Long Island Tomato Challenge in Melville on Friday, Aug. 19, 2016. 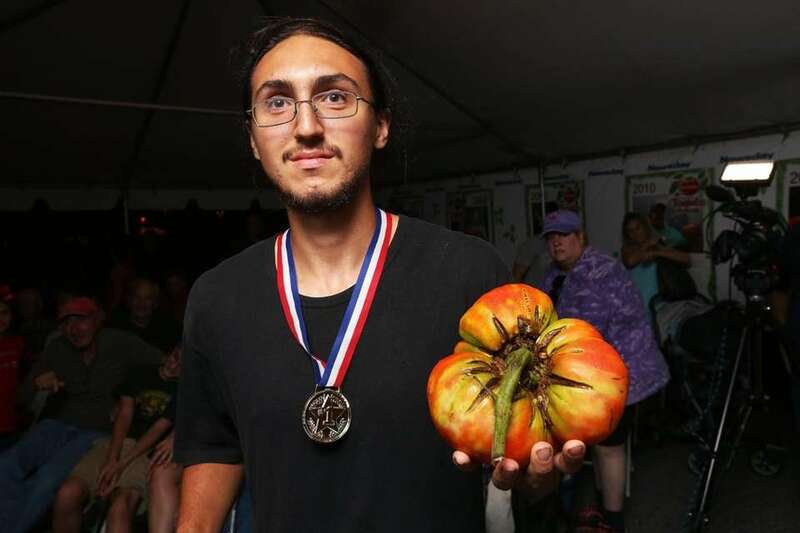 Vera DiCocco's tomato was the largest of the night, weighing in at 3 pounds, 9.5 ounces, at Newsday's 2015 Great Long Island Tomato Challenge on Aug. 27, 2015. 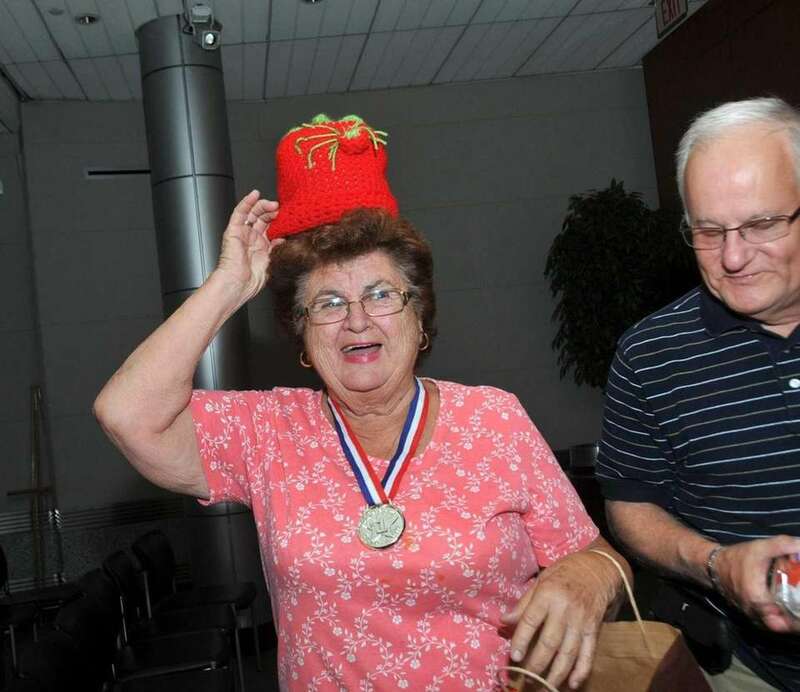 DiCocco shows off a tomato hat given to her by another community member. 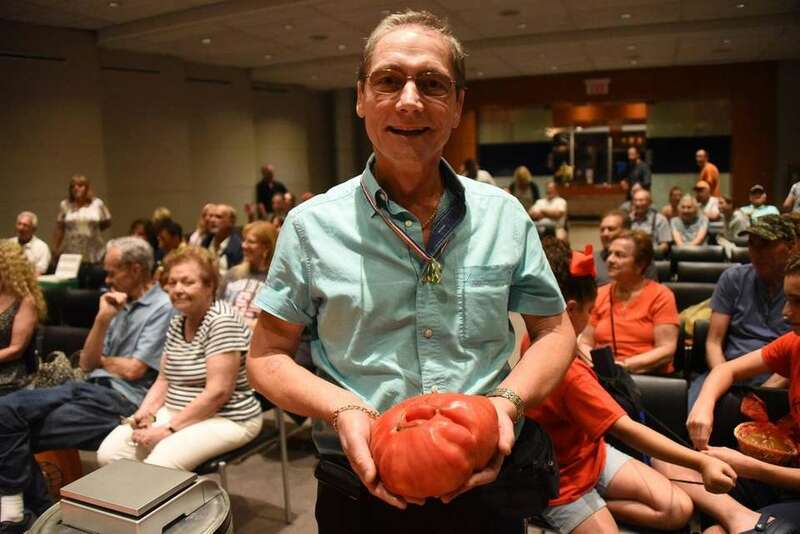 Gary Schaffer of Lindenhurst holds up his record-breaking giant tomato after weighing it during the 2014 Great Long Island Tomato Challenge at the Newsday auditorium in Melville on Aug. 22, 2014. 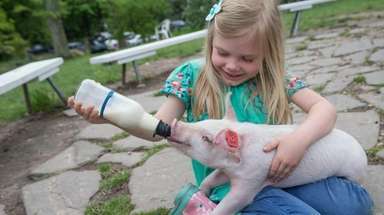 The winner weighed 5 pounds, 4 ounces. 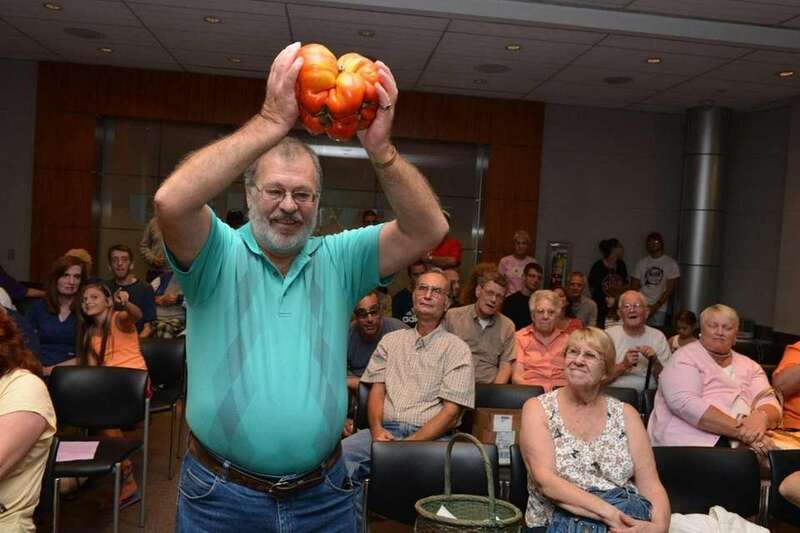 Dr. William Bouziotis holds up his 3-pound, 5-ounce winning tomato in the size category at the Great Long Island Tomato Challenge in Melville on Aug. 23, 2013. 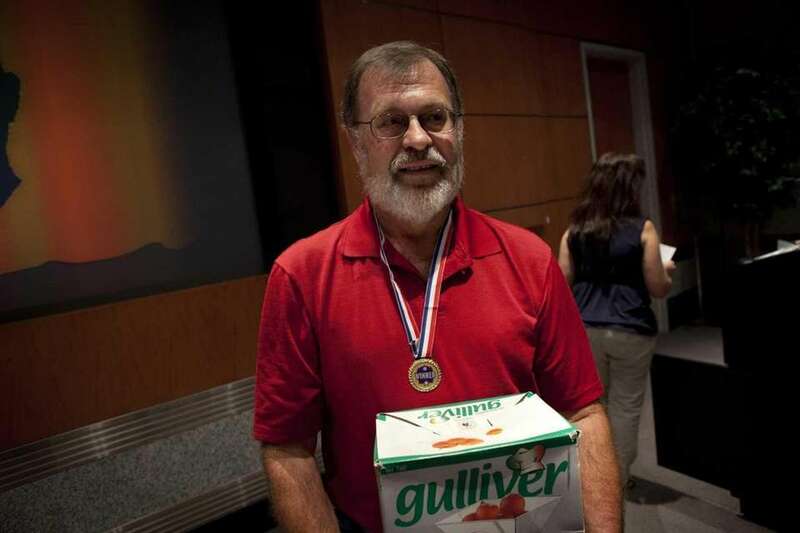 Lindenhurst's Gary Schaffer, a lifelong gardener, displays his prize as winner of the 2012 Newsday's Great Long Island Tomato Challenge on Aug. 24, 2012. 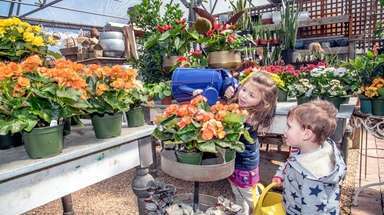 The winning tomato weighed 3 pounds, 6 ounces. At the Great Long Island Tomato Challenge held at Newsday in Melville on Aug. 26, 2011, contestants vie for the heaviest, smallest and ugliest tomato. 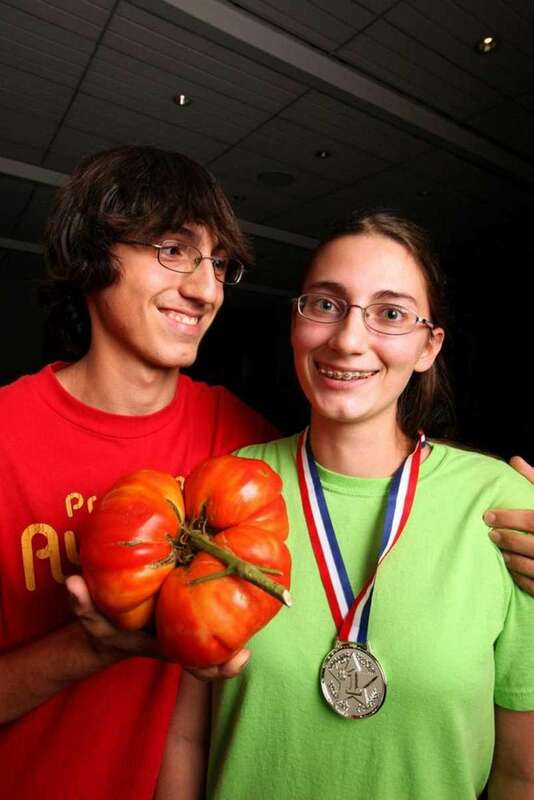 Here, the grand winners of the heaviest tomato were siblings 16-year-old Peter and 18-year-old Angel Notarnicola of Massapequa. Their tomato weighed in at 3 pounds, 11.5 ounces. 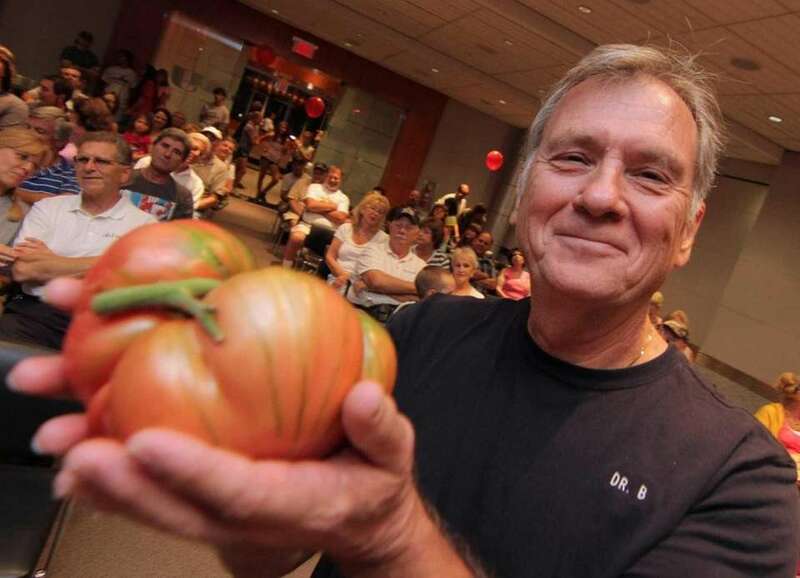 Billy King of Mastic Beach poses for the camera with his winning tomato at the 2010 Great Long Island Tomato Challenge held in the Newsday auditorium in Melville on Aug. 27, 2010. 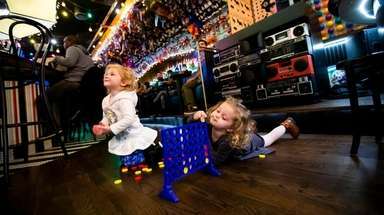 The winner weighed 2 pounds, 9 ounces. Harold Politano of Deer Park weighs-in the winning tomato of 4 pounds, 9 ounces during the 3rd annual Great Long Island Tomato Challenge at Newsday in Melville on Friday, Aug. 28, 2009. 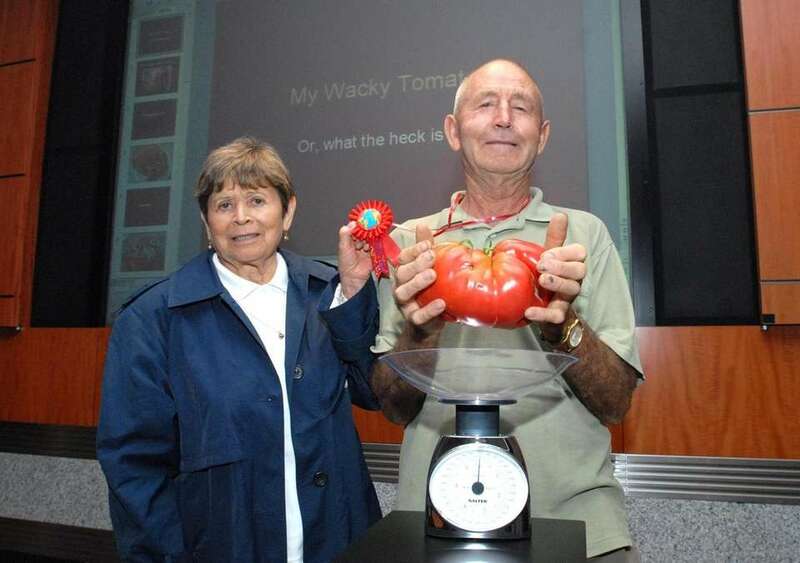 Port Jefferson's John Salvador, with his wife, Maria Ellen, displays his winning entry at the 2008 Great Long Island Tomato Challenge held at Newsday in Melville on Friday, Aug. 22, 2008. His tomato weighed in at 3 pounds, 1 ounce. 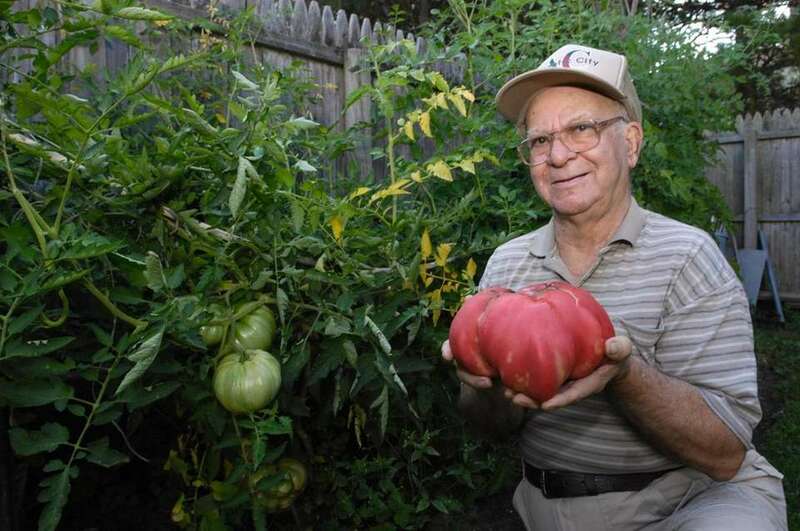 Vincenzo Domingo poses with 2007's Great Long Island Tomato Challenge's winning tomato, weighing 3 pounds, 14 ounces, at his Deer Park home on Aug. 28.